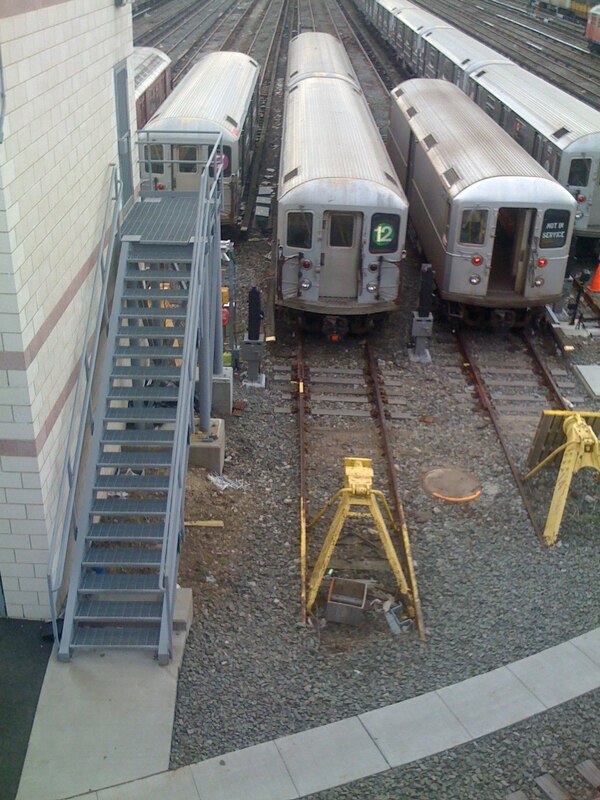 I had never seen as 12 car before, and the subway car was of a more recent design so I was naturally curious. The only green rollovers I know of are the 4, 5, 6 lines in Manhattan. A quick search on the web turned up the answer at NYC Transit Forums: The 12 was apparently an express 6 at one point in New York City's subway history. Wikipedia adds that in fact the trains were in service from 1924 to 1931 and were known as the Lexington Avenue Line. 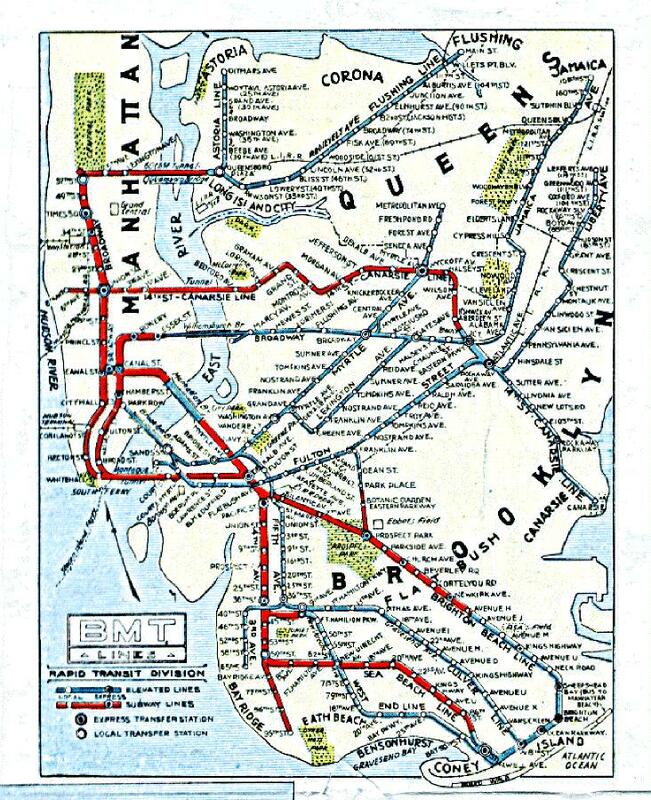 They ran between Park Row and Eastern Parkway with extended service east to Crescent Street and sometimes to 111th Street or 168th Street along the Jamaica line. The line was closed in 1950. As an added note, I was standing on the Chambers Street platform waiting for a local train when the subway signage caught my eye. In the early days of the subway, architects Heins & LaFarge designed beautiful subway stations with signage that included landmarks to help travelers find their way. A few of the original plaques and typefonts remain from this time. 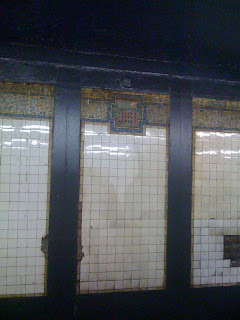 For example, the Chambers Street station appears to have an administrative type building featured in its mosaic—fitting given the number of government buildings in the area. Anyone know what the mosaic actually refers to? Actually, this 12 has nothing to do with the old 12. Roll signs allow for a fixed number of possibilities, 16 or 32 typically, so on IRT cars they just add extra numbers in case they might be assigned some day. Similarly, BMT/IND cars have the full alphabet, although the chances of ever using I, O, P, and Y are basically zero.